Erected by Janet Doull in memory of her beloved husband. 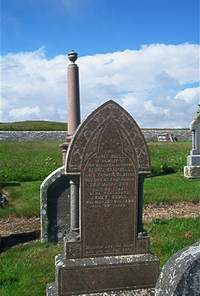 George Campbell farmer of Bilbster died at Eastbanks 28th March 1888 aged 85. Wife Janet Doull died 13th November 1894 aged 92.